What herb can be traced back to the 9th century, was mentioned in the Old Testament, buried with ancient Egyptian pharaohs, and mentioned in the book Arabian Nights? You might be surprised to learn it’s the fragrant herb most popular in Mexican and Asian cuisines, cilantro (aka coriander), that gets the credit for this fame. This parsley style herb may not appear to be much, but it does pack some considerable health benefits in its sprigs. Just five calories can be found in a serving size of nine sprigs. What’s remarkable about that fact is that in just one five calorie serving you’ll find 1,350 IU of vitamin A (mostly as beta carotene) and 62 mcg of Vitamin K. That means that a small serving will provide 27% of your recommended daily intake of Vitamin A and 52% of the recommended daily intake of vitamin K.
Why is Vitamin K so important? Vitamin K is necessary for blood clots to form, which keeps you from bleeding to death should you cut yourself. The vitamin also plays an important role in bone health. In fact, low levels of vitamin K have also been associated with increased risk of arthritis and may even be a risk factor for osteoporosis. Vitamin A plays a significant role in your vision and in support of your immune and inflammatory functions. In addition to these healthful benefits, herbalists have also understood for centuries that fresh cilantro may be helpful in assisting your body to rid itself of unwanted heavy metals. Studies have shown that levels of mercury, lead, and aluminum in the urine increase significantly during a cilantro cleansing, which consists of consuming large amounts of cilantro. It seems that cilantro changes the electric charge on intracellular deposits of heavy metals to a neutral state, which relaxes their tight bond to body tissue, freeing them up to be flushed from the body, including the brain (which is important if you want to avoid dementia later in life). 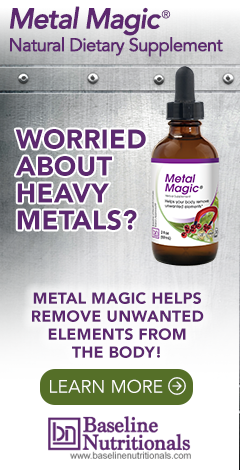 The problem with heavy metals is that they accumulate in the body over time, causing numerous health problems that can seriously impact literally every major organ in the body. Studies show that heavy metals in the body may be implicated in everything from Alzheimer's to cardiovascular disease, from behavioral problems to kidney dysfunction, Parkinson's disease, epilepsy, and even paralysis. This is why you’ll find cilantro as a key ingredient in Jon Barron’s Metal Magic formula. Not just due to its heavy metal detoxing effect, but cilantro benefits your memory in other ways too. In a study published in the “Journal of the Science of Food and Agriculture,” research suggests that there may be cognitive benefits from ingesting cilantro. In the study, young and old rats consumed ground cilantro leaves added to their food in five, ten, or fifteen percent concentrations, measured by weight. The rats on the cilantro-fed diet learned and performed a maze running task better than the control rats with cilantro-free diets. The interesting part is that the more cilantro they gave the rats, the better the effect. They even gave the rats amnesia drugs and found that the rats who ate the highest doses of cilantro appeared almost unaffected by the amnesia-inducing drugs—the more cilantro consumed, the less they were affected by the drugs. The researchers concluded that cilantro protects memory by suppressing the enzyme cholinesterase that breaks down acetylcholine, an important neurotransmitter in the brain. This is especially interesting considering that a deficiency in acetylcholine is associated with Alzheimer’s disease. Herbs such as cilantro also contain phytochemicals. These herbs are known for their role in the prevention of cancer and other chronic diseases. The National Cancer Institute has determined that cilantro is among the group of herbs with anti-cancer properties. Due to its anxiolytic and sedative effects, studies have shown that ground cilantro may be helpful in treating anxiety, panic attacks, and depression. 125 ml of fresh coriander leaf juice has been shown to contain almost as much beta-carotene as 250 ml of broccoli juice. Cilantro leaves have been found to have an antibacterial effect against Salmonella. May help improve overall sleep quality. In some studies, it has shown positive signs as an anti-diabetic herb. In fact, in in some parts of Europe, cilantro has been referred to as an "anti-diabetic" plant. The best thing about cilantro, however, may just be how easy it is to add to your diet. With its distinctly strong flavoring, cilantro is an excellent herb to use to season lower-calorie and reduced-fat dishes. It’s perfect freshly chopped and added to soups, salsas, chutneys, guacamole or any Mexican style dish, It also makes an excellent seasoning for everyday favorites such as scrambled eggs, veggie tacos and salads. However, if you are looking for a detoxing effect from heavy metals or a way to boost memory, it is best to use a more concentrated form of cilantro such as a tincture. For instance, the rats who showed a memory effect were consuming 10-15% of their diet in cilantro leaves -- not many dishes use that much cilantro. Supplementation may be the best way to maximize the health benefits of cilantro. I dry cilantro in the sun and put in my coffee grinder. Then i shake in water and drink. Like anything else - i would imagine it would lose potency. Any tests results on dried cilantro that you know of? i have came across some ground coriander, comes in a powder form. does not have a lot of info on the packet. all it says is spice shop this is in Australia. I juice or blend a few bunches of Cilantro into a smoothie with other organic veggies like kale, celery, cucumbers, ginger, lemon, lime and avocado. I add walnuts for protein, chia seed and organic virgin coconut oil. Great and filling for a breakfast or lunch on the go, and it just tastes like liquid guacamole!!! I especially love it with a dash of metabolism boosting cayenne! How much of each for the smoothie? Do you boil all together ? Sterilize cooktop pan, making sure it is very clean and using purified water bring to boil, about 3 cups, add very well cleaned cilantro, about a good handful, bring to boil for about 5 minutes, then simmer on low for about 1/2 hr. Let cool, using a sterilized strainer, pour into a very sterilized glass bottle. I tried this on very disruptive allergic skin conditions and noticed right away the water left my skin and hair feeling clean and calm. The texture of my hands improved after first test application. A punch in a blender wit a with a quartered lemon , 12 ounces of water a cup of ice and blend drink instead of morning beverage. Add an avocado or banana and Inch of fresh ginger and a bunch of parsley for detoxing.enjoy for five days stop for ten days then repeat. Is a great cleanser that taste great!